A GoFundMe website has been established to raise funds in support of a Murrieta woman who was one of four people killed in a head-on collision on Memorial Day. 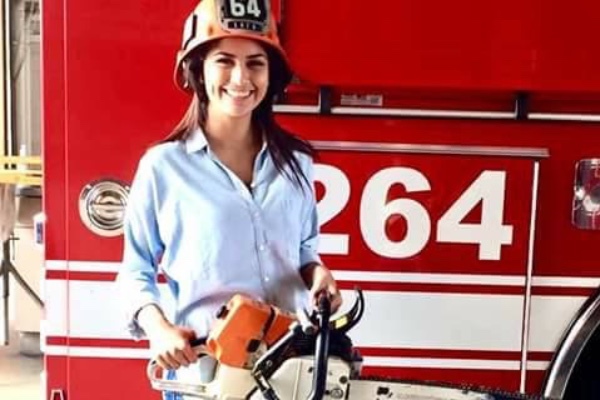 Friends of the family set up the website to support the family of Marissa Garnica, 20, who died when the 2012 Toyota sedan in which she was riding collided head-on with a semi-truck, according to the California Highway Patrol. The accident occurred about 3:15 p.m. Monday on Highway 177 east of Joshua Tree National Park. The driver of the vehicle, Matthew Hodges, 30, of Corona, also died in the crash, along with two women who graduated from Vista Murrieta High School with Garnica -- Gabrielle Constante, 20, and essica Giraldo, 21. The GoFundMe account was established Wednesday morning with a stated goal of $15,000. In the first 10 hours, through donations by 83 people, over $7,600 had been raised. Those wishing to make a donation to help the family with funeral costs may do so here. Funeral arrangements have not been announced. Anyone who is aware of fundraising efforts for the other accident victims should send information to murrieta247info@gmail.com.